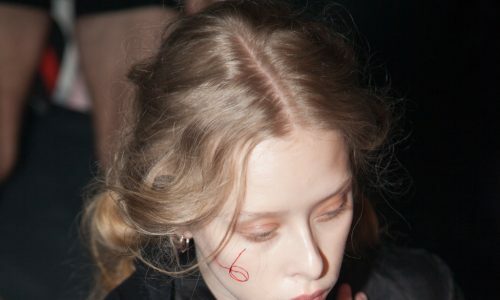 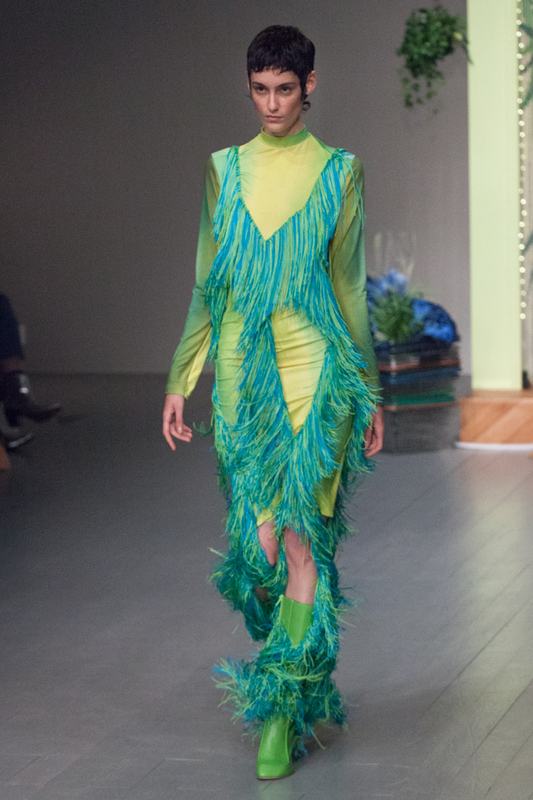 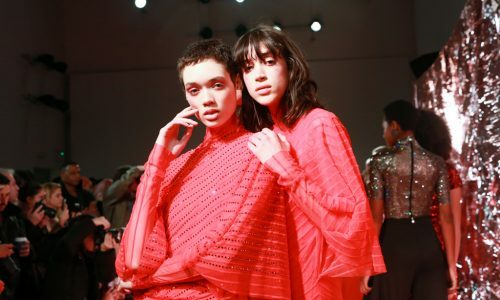 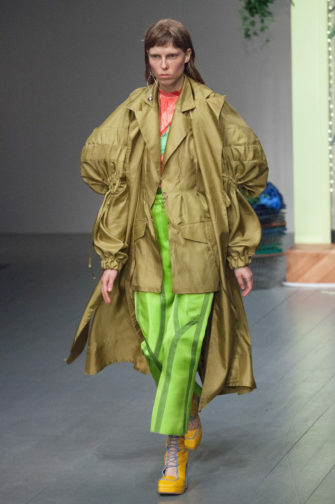 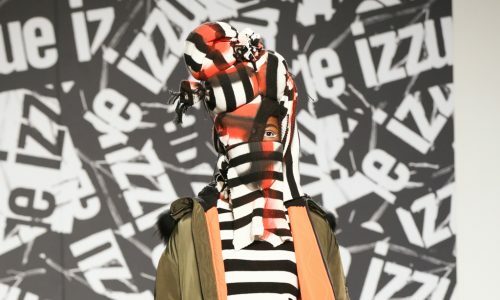 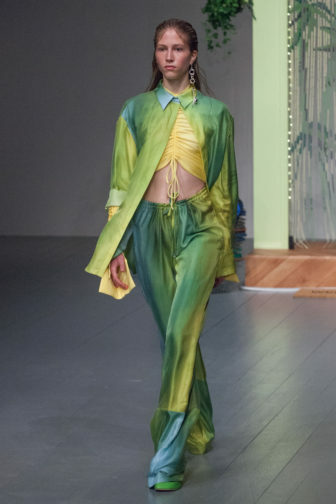 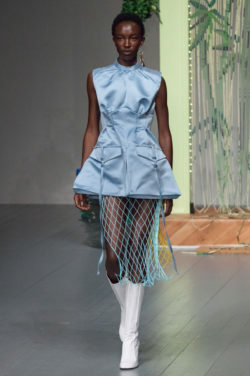 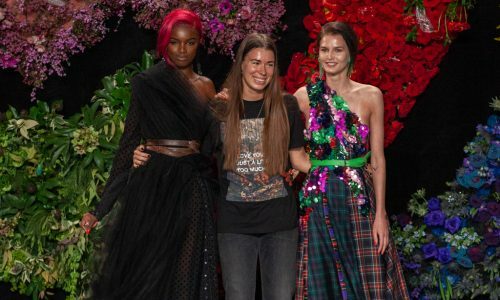 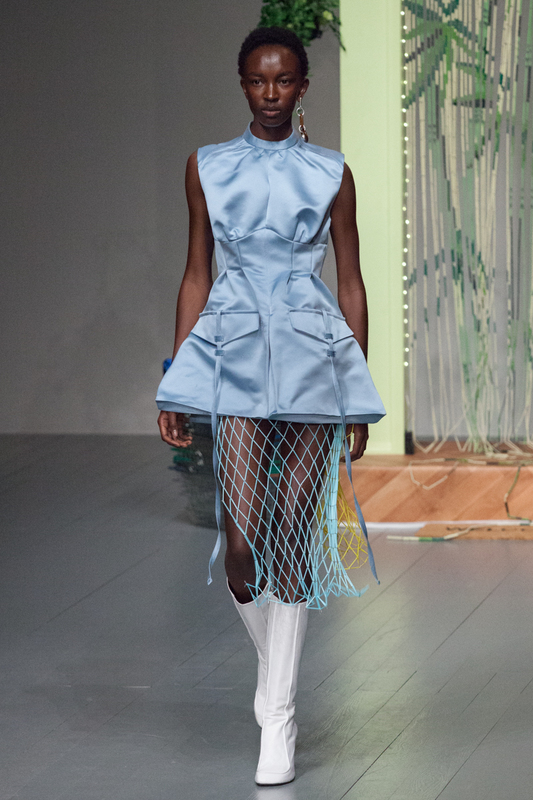 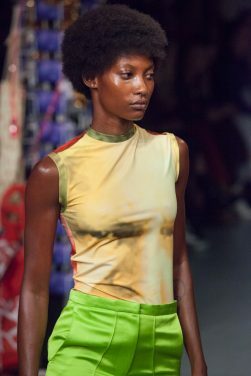 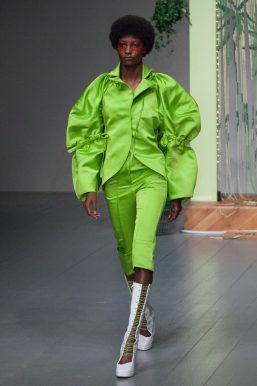 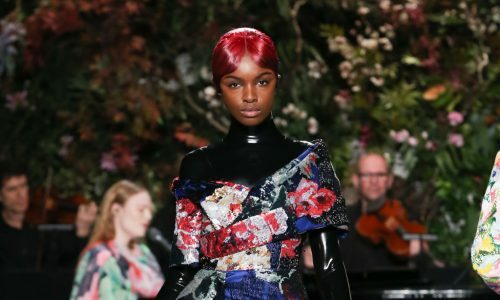 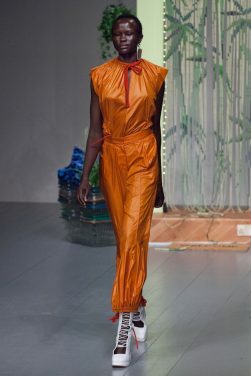 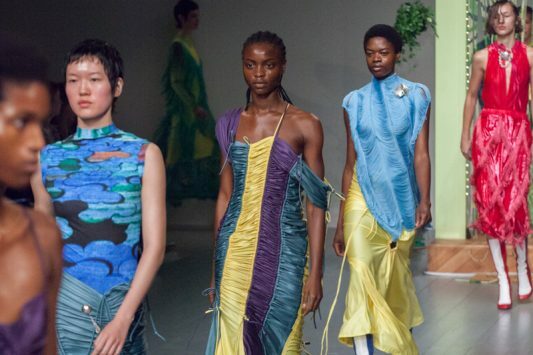 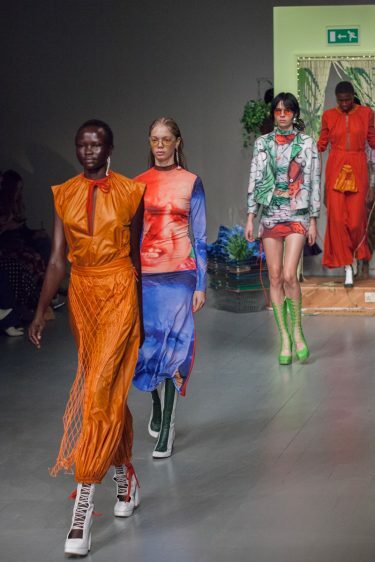 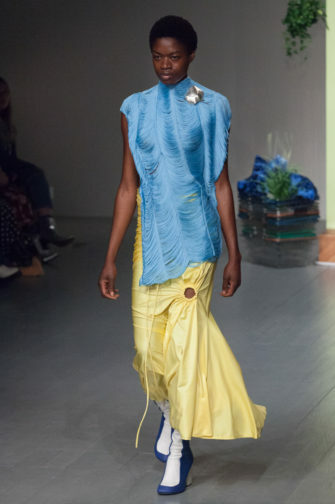 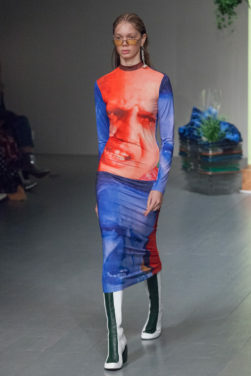 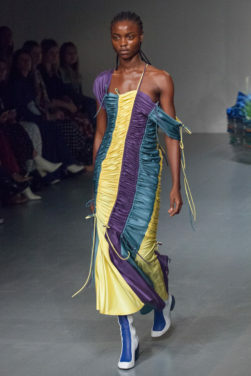 Richard Malone kicks off 2019 London Fashion Week at the BFC Showspace with a spring/summer collection that is bold in colour and defined in line. 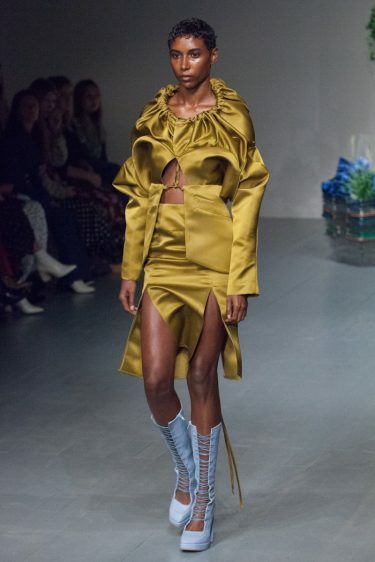 Other than ankle and high boots that adapt and creatively rethink the shoe’s grace and simplicity using laces and round shapes, there are not many other accessories added to the looks. 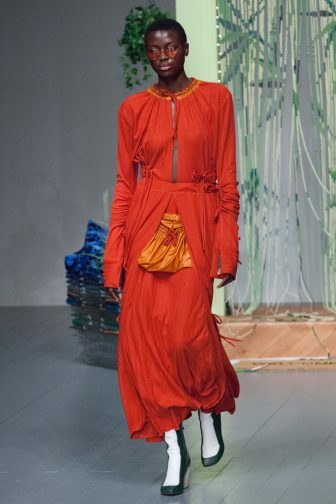 The dresses capture all the attention with their warm palette and rich nuances. 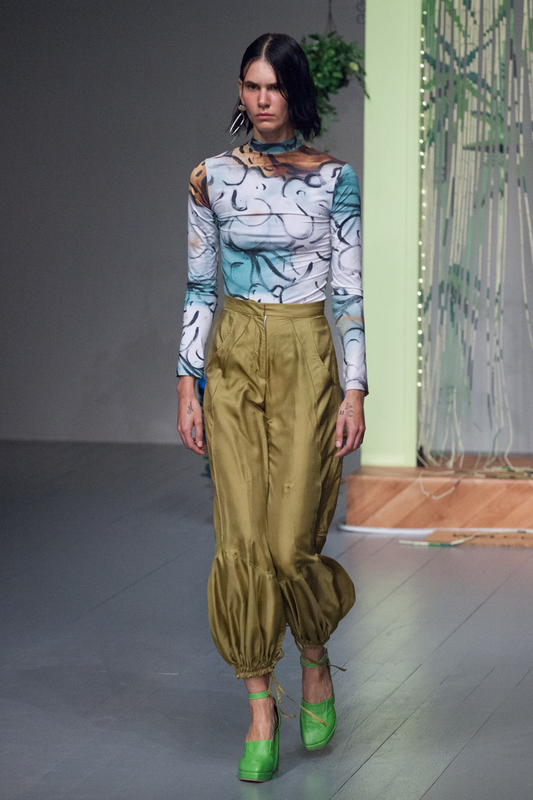 Among the predominant tones, there are also electric blues and green tints, the latter fluidly mixing and blending with the yellow. 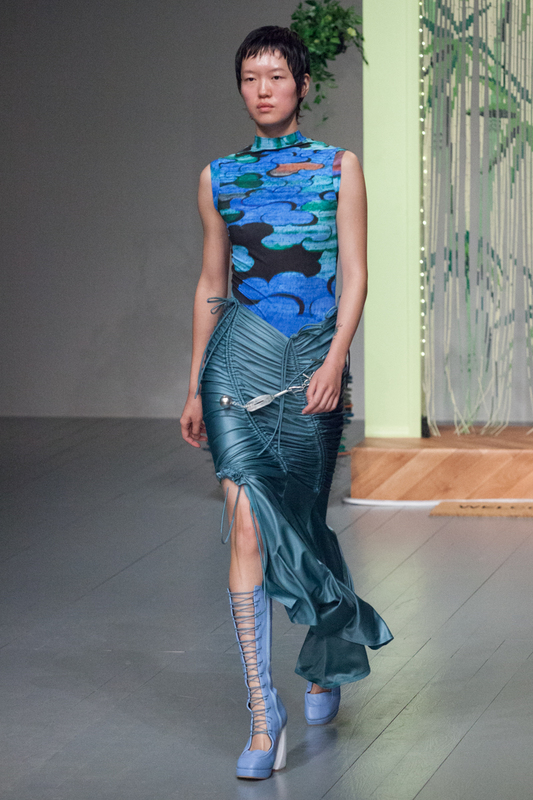 The colour matchings are often made with audacious effect, speaking for the intrepid woman the designer has in mind. 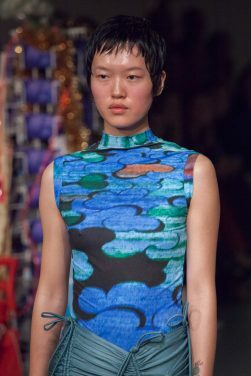 No many prints confuse the pieces, but the colours are pure and vivid. 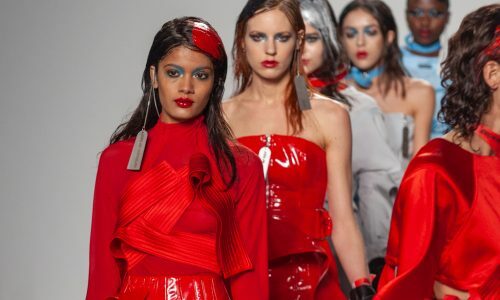 Known for his outspoken support of women rights, Malone indeed follows the feminine shape without being too aggressive: his garments make a statement, though they are based on everyday clothing, meaning they are original but not excessive. 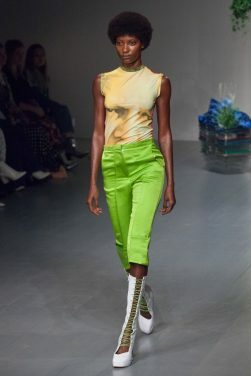 Tight tops and biker trousers alternate with looser dresses, from time to time featuring fringes, laces and nets. 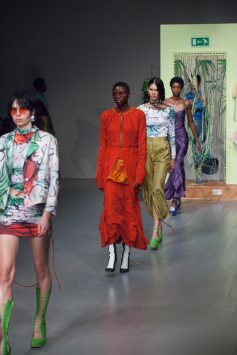 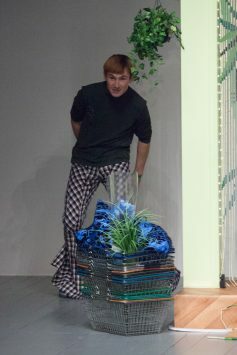 With terrace curtains and a postcard display placed in the middle of the catwalk, the collection strongly calls for the sunny season and comfortable fashion. 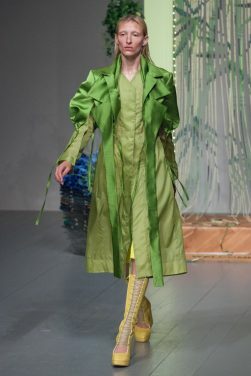 The texture is lucid and the material has an incredibly lavish feel. 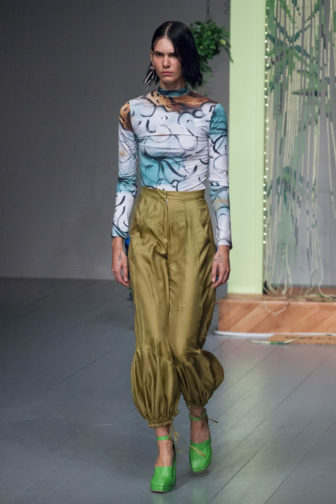 Malon’s partner for the season, prestigious Italian fabric house Taroni, enriches the works with a uniqueness that is distinctive even from afar.